Thousands more UK teenagers will be urged to consider a career in cyber security after a successful pilot programme secured a second year. More than 23,000 young people aged between 14 and 18 took part in the Cyber Discovery pilot during its first year, which was more than enough to deem the programme a hit. 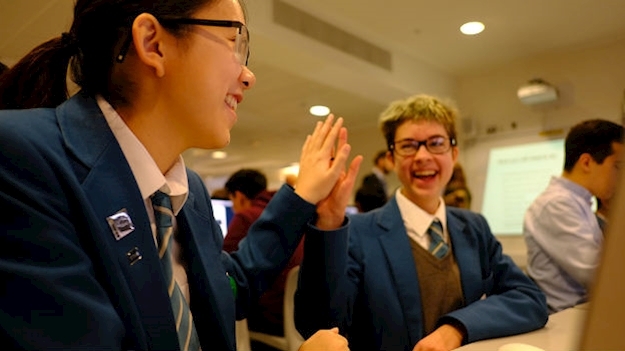 The scheme uses interactive games to teach teenagers about cyber security in a fun, accessible way, with top performers being offered the chance to attend a special summer camp to develop their skills and meet industry leaders. Any 14 to 18-year-olds can register for the programme’s next assessment phase before January 7th 2019 at joincyberdiscovery.com. It’s all part of Cyber First, the government’s cyber security skills programme, which stems from a £1.9 billion investment through the National Cyber Security Strategy to transform the UK’s cyber security and ensure it builds skills in the workforce of the future. Digital minister Margot James said the overriding aim was to help young people realise that a career in cyber security can be “exciting and rewarding”. A study within the programme found that before taking part in Cyber Discovery, 40.4 per cent of female students and 35.5 per cent of male students hadn’t even considered a career in cyber security. This dropped to 9.6 per cent and 6.3 per cent respectively after these students completed the programme.